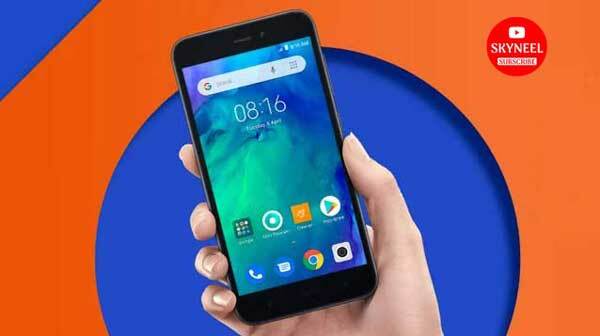 Chinese smartphone company Xiaomi launched its cheapest smartphone Redmi Go today in India. It is a smartphone running on the company’s first Android Go operating system. This smartphone was already launched in the Philippines and other global markets. Leading e-commerce platform for Redmi Go had already created a dedicated page. This means that this smartphone can be purchased at the official Mi website and Flipkart e-commerce website. Redmi Go also availble at Mi’s official store. The first sell of this smartphone will be held on March 22. Let’s know about the features and pricing of this smartphone. Redmi Go’s base variant (1GB / 8GB) has been launched at a price of Rs 4,499. While another variant of 2GB / 32GB is not currently launched in India. The phone has been launched in two color variants Black and Blue color. In addition to the major e-commerce website, this smartphone can be purchased on the company’s official website and offline stores from March 22. Talking about the features of Redmi Go, it has a 5-inch HD display, which is 720×1280 pixels. Speaking of the phone processor, it has a Qualcomm Snapdragon 425 chipset processor. The phone works on Android Go Operating System. Talking about the camera features of the phone, it has a 8-megapixel rear camera with LED flash. The phone has a 5 megapixel camera for selfie with HDR features. You can extend the phone’s memory up to 128GB via microSD card. The phone has a micro USB and 3.5mm audio jack. To give power to the phone, it has a battery of 3,000 mAh.